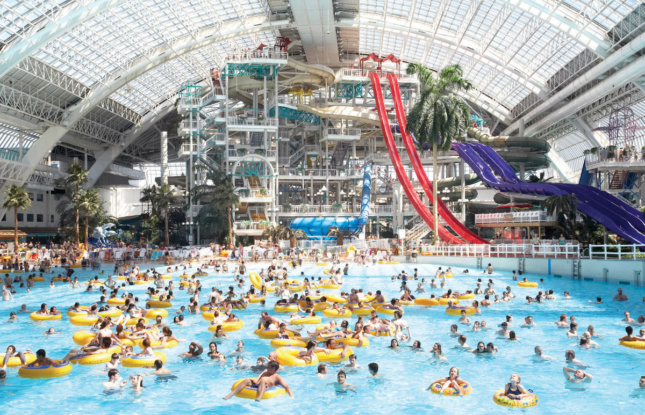 Mall of America in Bloomington, Minnesota, the second largest mall in the U.S., is eyeing a $150-to-$250 million expansion in the form of an enormous indoor water park. On Tuesday, multinational conglomerate and Mall of America owners Triple Five pitched the DLR Group-designed, 225,000-square foot water park to Bloomington’s Port Authority, asking if the city–and taxpayers–would be willing to foot the bill. The project is still speculative, but Triple Five’s proposal would lease a portion of the mall’s forthcoming expansion to the city, who would also lend Triple Five the money they need to build the park and also hire the group to operate it. The proposed public-private partnership was raised out of necessity, as Triple Five has expressed that borrowing money through the city was the only way to capture low enough interest rates for the water park to be profitable. DLR Group has been tapped to design the park, and from the rendering released by Triple Five, the design seems heavily influenced by the World Waterpark at the West Edmonton Mall in Alberta, Canada. The park’s current iteration would replace what is currently a parking lot, and the main building resembles a glassy aircraft hangar set within a semi-circular roundabout leading to parking further inland. Continuing the motif, curvilinear sky bridges will wrap around the site and connect the park to the rest of the mall’s complexes. While it’s too early in the planning process to confirm what kinds of attractions the park would hold, pools, wave generators, and a tangle of waterslides are all likely to make the cut. City officials will be conducting a feasibility study of the park, including the logistics of constructing and financing the park, and if it can remain viable in the long term. The water park is just one piece of a potential expansion, with Triple Five also seeking to possibly build hotels, convention centers, or a sports arena on the eastern-most portion of the mall’s property. 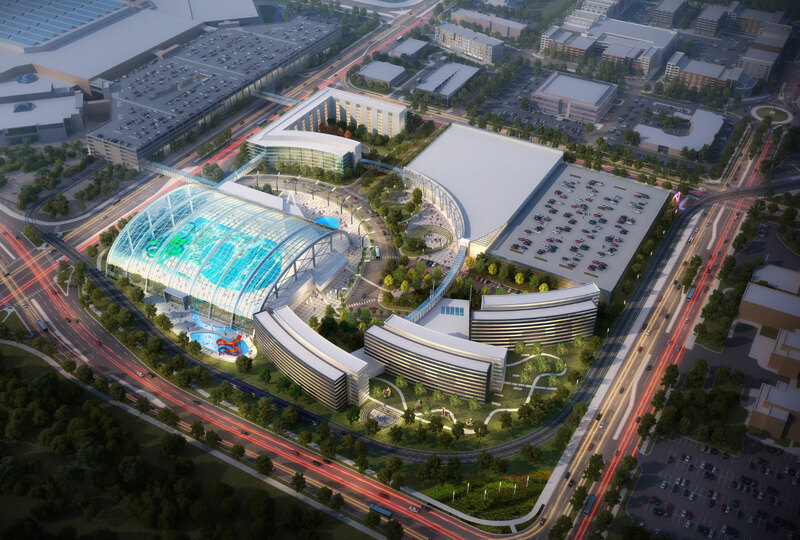 While the fate of the Mall of America water park might be uncertain, Triple Five has been keeping busy with similar projects elsewhere; the $1.2 billion American Dream Meadowlands megamall will be opening in Rutherford, New Jersey next year with a water park of its own.